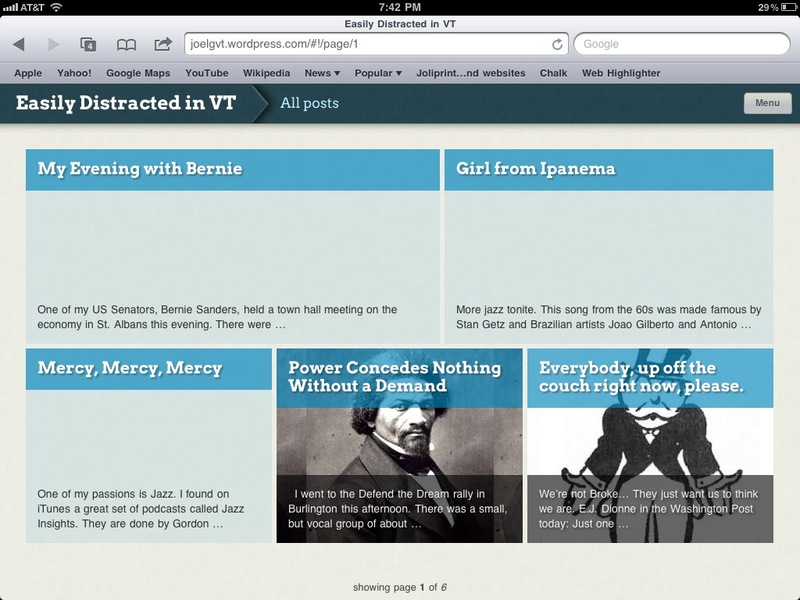 WordPress blogs have a new look when viewed on an iPad. Here is what mine looks like. It has been fascinating to watch the development of apps for the iPad and how they are integrating mail, posting to Facebook and/or Twitter. 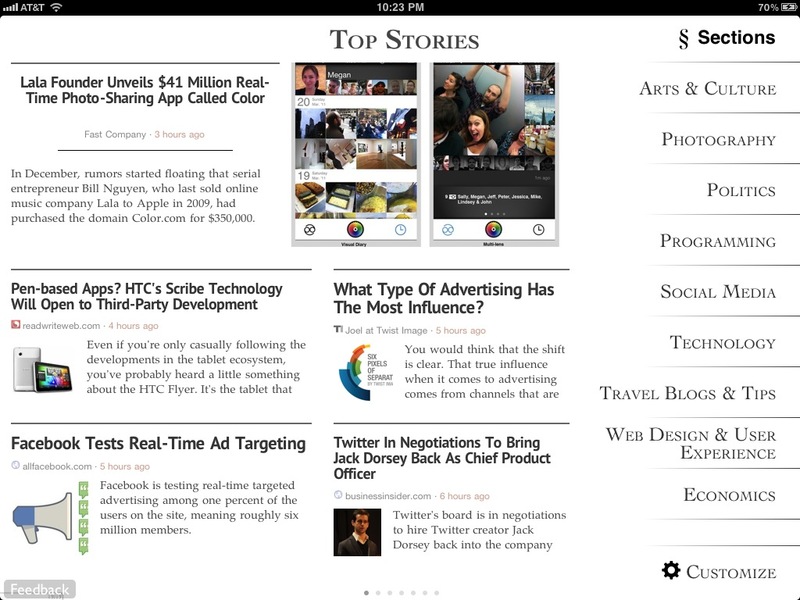 My current favorite app to do this is Zite. 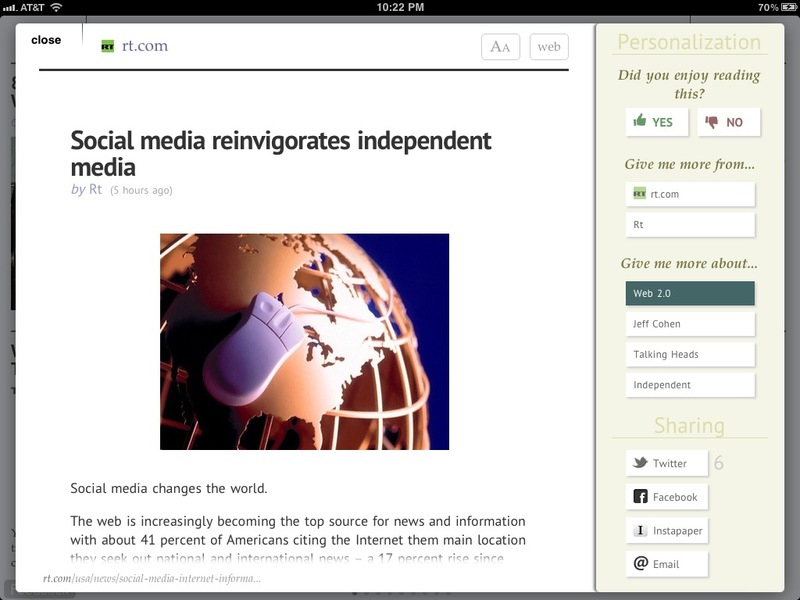 You can set it up to view your Twitter feed or Google Reader. I have mine set for Google Reader. You can choose from the Sections they offer, or create your own. 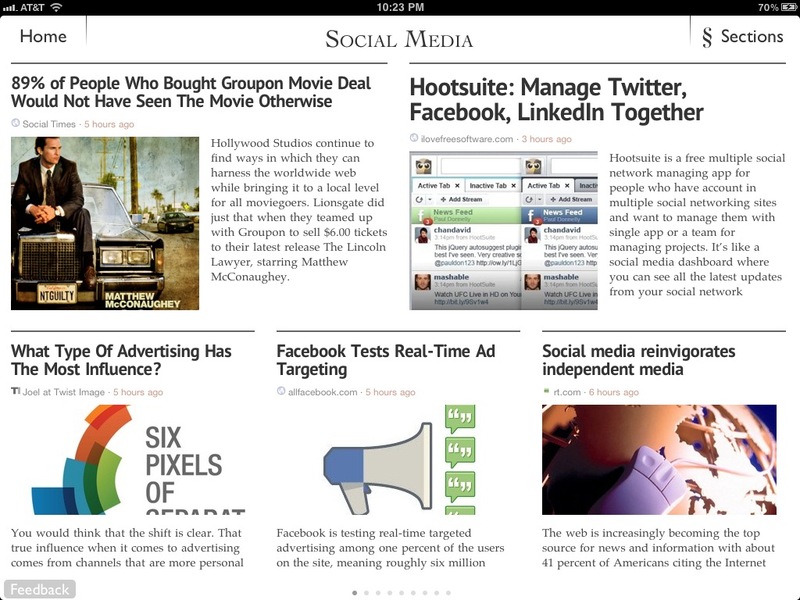 The Sections pull in articles from your Google Reader and other similar blogs. This is a smart app that uses all the iPad has to offer – although sometimes I would like a way to share to LinkedIn also.